Sometimes, in certain circumstances, partners may not want to get a divorce. For instance, certain religious beliefs preclude people from filing for a divorce. The situation can be different as well, for example a spouse is relying on the health benefits offered by his/her spouse’s insurance policy. 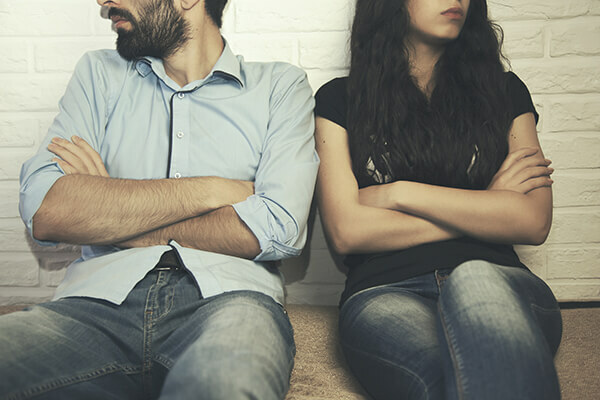 In either case, opting for a legal separation can be a viable way out. Legal separation falls under the dissolution of marriage law. However, when you opt for legal separation, the court will not dissolve your marriage. Consult our experienced legal separation attorneys to decide on the right course of action. There are numerous reasons why you might opt for legal separation over dissolution of marriage. The arrangement can be temporary, but if you want to make it permanent, you have the option to dissolve the marriage completely. In that situation, you have to file an amended petition, which focuses on dissolution rather than legal separation. Under the law, either spouse has the right to file for dissolution after 6 months of the legal separation being granted by the court. The court has to agree to the petition. Even if you opt for dissolution following the legal separation, the terms and conditions will remain the same. This is why it is important you talk to an experienced legal separation attorney to discuss your situation. We will help you protect your rights and ensure you get the best possible arrangement with your ex-spouse. Trust your case to an expert in legal separations. Call Matthew Sheasby, Attorney at Law, at (909) 922-2543 to discuss your case.